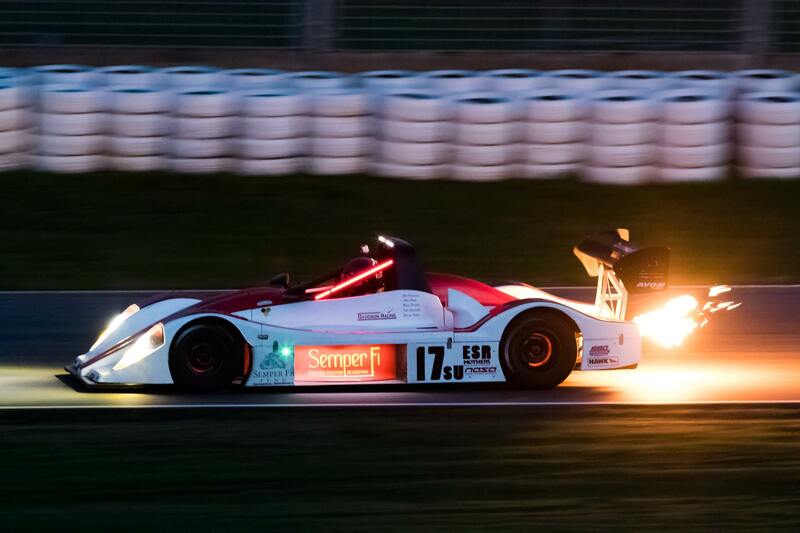 Regardless of which NASA Region you call home, you likely are familiar with Davidson Racing’s white and red Norma. It won the 25 Hours of Thunderhill overall in 2014 and it won Super Unlimited at the Eastern States Championships at Watkins Glen last year. We can now add to that a Super Unlimited Championship at the 2017 Western States Championships. Davidson Racing and driver Brian Frisselle came to Thunderhill and dominated the weekend, scoring the fastest lap time in Friday’s qualifying and taking wins in qualifying races Friday and Saturday over two-time Super Unlimited Champion Jon Van Caneghem, who had brought his new Ginetta G57 powered by a potent GM LS V8. It wasn’t enough. Though Van Caneghem took the green flag with an aggressive move to the inside of Frisselle into Turn 1, he couldn’t hold the lead for long. Frisselle got around Van Caneghem in the early laps, put his head down and slashed through traffic to take the Super Unlimited Championship, earning the first NASA “triple crown,” if you will, Eastern and Western States Championships and an overall victory at the 25 Hours of Thunderhill, a feat that had never been accomplished. “To have the Eastern and now the Western and the 25, I feel like the team’s got all the crown jewels now, so that’s pretty awesome,” Frisselle said. 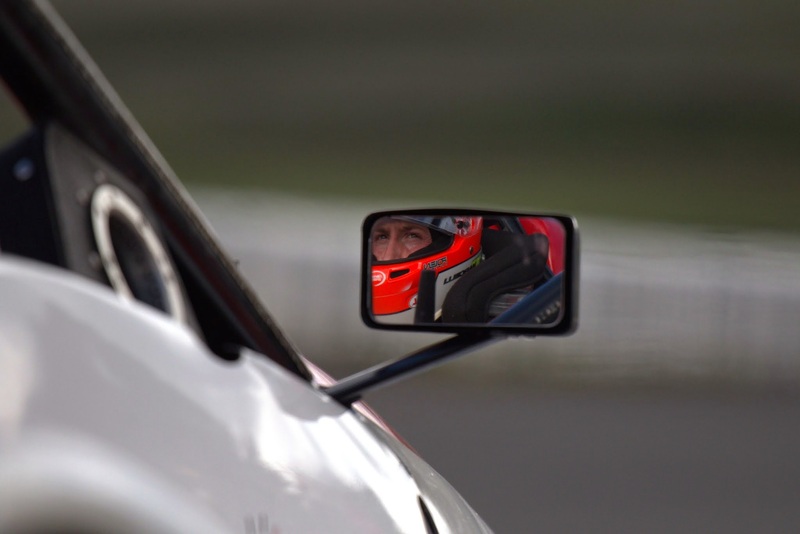 “It’s all been in this car with me driving, so it’s been a real pleasure. I’ve had so much fun driving for these guys. 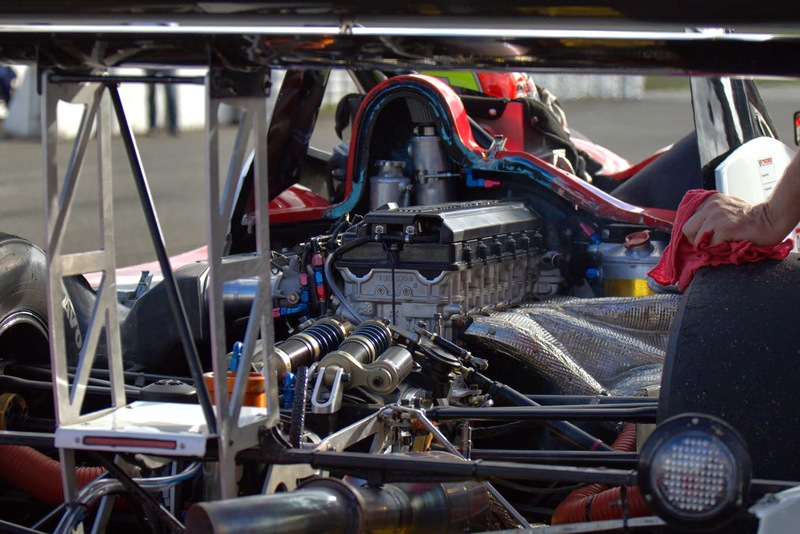 They’re such a great group.” Van Caneghem had never raced at Thunderhill before, and his new car is much faster than his old Mazda MZR-powered Elan DP02. “New car, new track, I was trying as hard as I could,” he said. “This car has maybe some more high-speed grip, but less low-speed grip. It was a big challenge. It’s a much bigger challenge, but it’s fun, though. I’ll be back.” The two prototypes in P1 and P2 were too much for third-place finisher, 15-yearold Steven Aghakhani, who had brought a Lamborghini Trofeo Cup car to compete.